The Commemorative Torch Run is a structured run similar to the Law Enforcement Torch Run Final Leg (this is not a race). 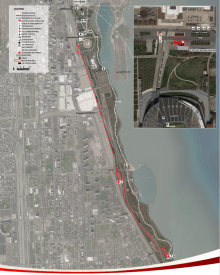 Participants will run in formation at a 15 minute mile (4 miles per hour) pace. The group will be led by a law enforcement officer and Special Olympics athlete carrying the Flame of Hope. 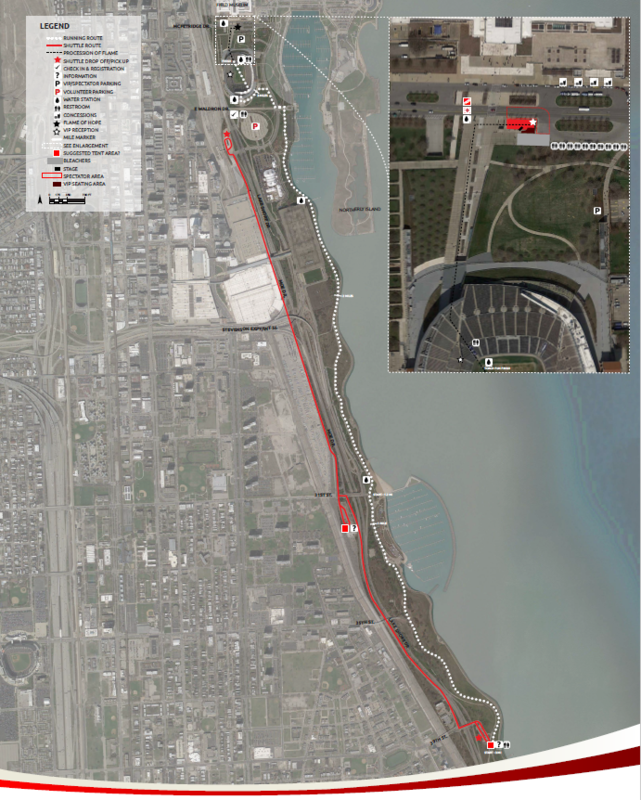 The run will take place on Chicago Park District’s bike path that runs along Lake Michigan in downtown Chicago and passes landmarks such as the Chicago Police Memorial, McCormick Place and a number of scenic beaches and harbors. Finally, the Commemorative Run will conclude by participants having the opportunity to run through Soldier Field as we deliver the Flame of Hope to the Eternal Flame ceremony.